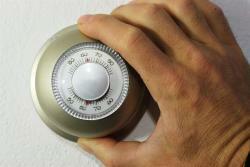 Don't spend another night out in the cold the next time you need heating repair in Dighton or Taunton, MA. At Dighton Plumbing and Heating, we offer same day service that will get your system up and running again in no time, keeping you warm and comfortable in even the coldest winter months. With over 10 years of experience, we're the area's premier provider for honest, reliable repairs and installation that will keep your home running smoothly, season after season. Our highly trained, expert staff of professionals are all fully licensed, insured, and bonded, and there's always a focus on customer satisfaction, no matter how big or small the job. Unlike larger companies, we believe in treating our customers like a valuable part of the family, which is why the company's owner and operator will always be present when it comes time to complete your project, rather than outsourcing tasks to subcontractors. When you rely on us to handle your next heating issue, you're putting your home in the hands of skilled technicians who will always treat it as if it were their own. Call us today for a consultation and up-front estimate, and say goodbye to long waits and uncomfortable nights for good. Many home HVAC systems are rather complicated pieces of machinery, and at some point, there's bound to be a minor problem that results in your home feeling less cozy and comfortable than it should. All our jobs are handled by skilled, highly trained technicians that are familiar with a wide range of equipment, leaving you no doubt that your system is in good hands and will be back in working order again in no time. If your system is older or has experienced severe damage, we also have the knowledge and experience required to help you find a new system that will meet your needs and make certain it's properly installed. The most trusted experts in heating repair in Dighton and Taunton, MA are found at Dighton Plumbing and Heating, one of many reasons that we've been the area's choice for quality service for over a decade. Whether you're looking to repair your current system, or to upgrade to a money-saving, environmentally conscious Energy Star rated system, we have a solution that will work perfectly for your home and your budget. We understand that your time is valuable, which is why we'll never leave you sitting at home waiting for our repair team to arrive, or go home early in the middle of a job that hasn't been finished. Don't waste your time and money on repair professionals that don't deliver on their promises; call us to see how simple it is to get the job done right the first time, on time. We'll be there to deliver results with a realistic, up-front estimate and same-day service that's certain to impress!